Sony recently unveiled its latest a9 flagship mirrorless camera, and it comes with surprisingly awesome specs such as a 24.2MP full-frame image sensor that can shoot 20 frames per second, making it the ultimate sports camera. 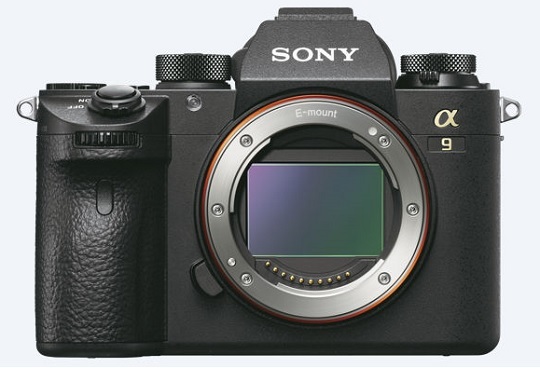 The Sony a9 or Aplha 9 is a high-end camera that houses what is considered to be the world's first 35mm full-frame stacked CMOS sensor that is enhanced by a BIONZ X image processing engine. It can perform AF/AE tracking with live-view capability at 60fps and with no blackout. Primarily, it uses an electronic shutter with an ISO range of 100-25600 that is expandable to ISO 50 for still images, but it also features a mechanical shutter with ISO 100-51200 that is expandable up to ISO 204800. For movies, it has an ISO range of 100-51200 that can be expanded up to ISO 102400. Making it even more interesting is its new high-resolution electronic viewfinder that delivers clear image with fine detail. In addition to that, the a9 features Sony's 4D Focus that includes 693 AF points, covering approximately 93 percent of the image area. This allows high-precision performance that assures your focus on subjects. Other features include a 5-axis image stabilization, support for uncompressed 14-bit RAW format, dual SD card slots, and a battery that can capture up to approximately 480 still frames on a single charge. The Sony a9 is priced at USD4,500 or about Php224,000 in direct peso conversion, and will be available in the US sometime in May.